14th Oct 2017 - Fly back KUL on 11am flight. Bye Bye Osaka! I visited Kuromon Ichiba located in the Namba area. This market was called Emmeiji until end of Meiji Era. 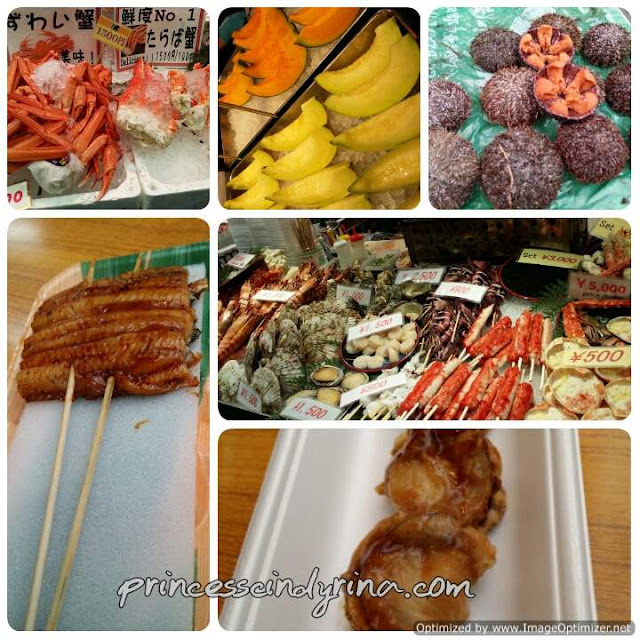 It is 600 meters area ad packed with many shops selling mainly vegetables, fruits and fish. I have a great half day there. Eat walk and eat walk. Sampling seafood , local snacks and delicacies. How to go to Kuromon Ichiba by subway ? Take subway Sakaisuji Line Nippombashi Station ( Take Exit 5 or 10) . Operating hours from 9am to late evening. Goshhh!!! Just stop at Namba Station and you can spend whole day there. Abundant dining and shopping choices waiting. 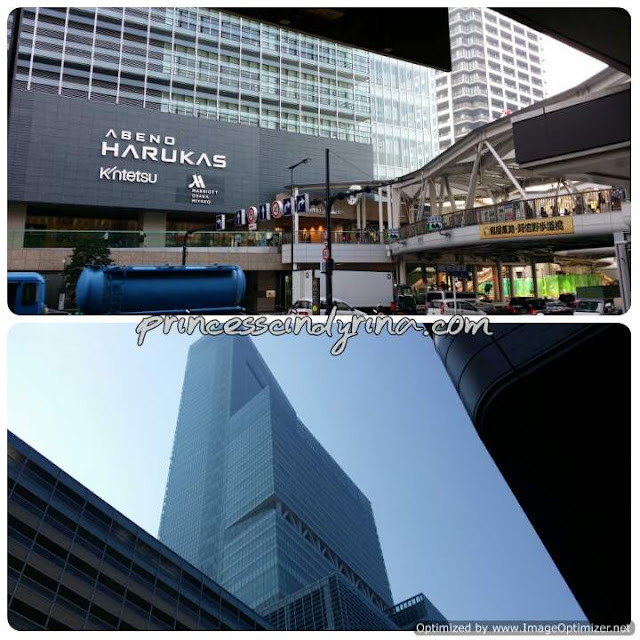 Another place you can consider is major city center near Kita which located around Osaka and Umeda Stations. This is reconstruction castle which started in 1583 on the former site of the Ishiyama Honganji temple which destroyed thirteen year later. The construction of this castle intended to unified Japan under Toyotomi rule. It was the largest castle at that time. There are long history for this castle and very interesting to read. You can read the history before your visit and it will make it ever moment to live. This castle really look grand for far! I did afternoon walk at the park surround this castle.This place is beautiful during cherry blossom and apparently very popular on early April. 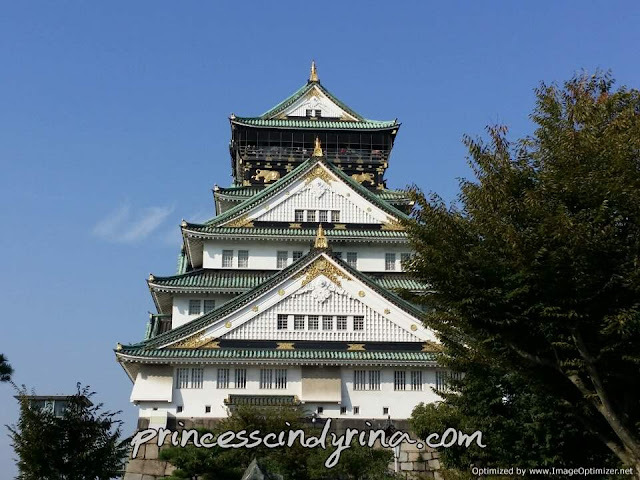 How to go to Osaka Castle by subway ? The closet station is Tanimachi 4-chrome Station along Tanimachi Subway Line and Cho Subway line. This is the tallest skyscraper in Japan with observation deck. 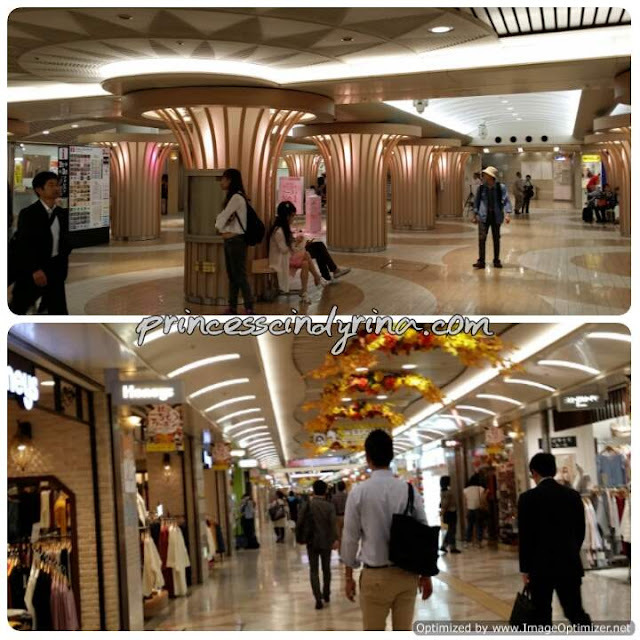 Located right across Tenoji Station, You can shop , dine and enjoy the view here. I bet many dreams to visit this place because of Harry Potter, right? This place is one of my life bucket list. I did it! Yeayyyyy!!!! 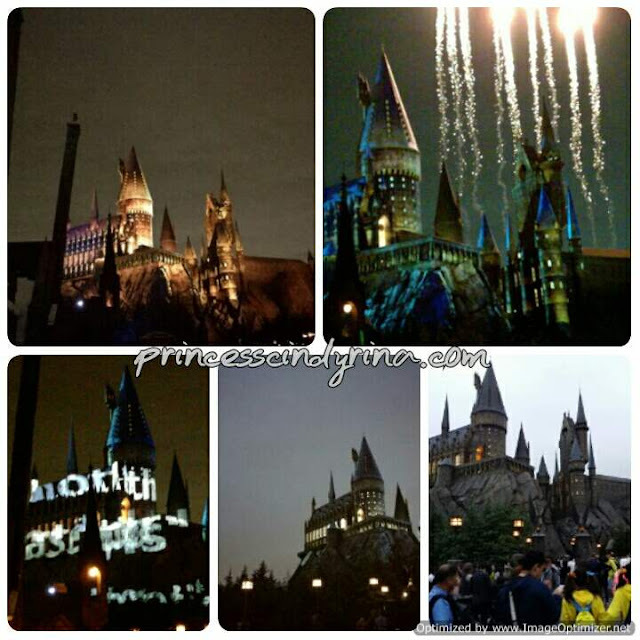 USJ is not only Harry Potter, there are many attractions in this place. Currently they have eight sections ; Hollywood , New York, San Francisco, Jurassic Park, Waterworld, Amity Village, Universal Wonderland and The Wizarding World of Harry Potter. After long exciting rides , you can enjoy another walk at Universal Citywalk Osaka located right outside USJ entrance. They have many place for you to shop and restaurant for you to enjoy. Moreover you can also visit Takoyaki Museum there. How to go to USJ ? Take JR Yumesski line (also known as JR SAkurajima Line) then stop at Universal City Station. The park is only 5 minutes walk from the station. If you are from Osaka Station just take direct train and many other which you need to transfer at Nishikujo Station. If you are first timer to USJ and curious about the rides. Click here for my other post of USJ rides for first timer based on my experience. I have been to few Aquariums and Osaka Aquarium is one impressive aquariums , I ever been. It called Osaka Aquarium Kaiyukan located in the Tempozan Harbor Village of Osaka's bay area. It exhibit various creatures inhabiting the Pacific Rim. I like it where the visitor start tour of the aquarium on the 8th floor and slowly walk spiral down floor by floor around the central tank. I love on how one can walk , sit and observe the sea creatures from different perspectives. 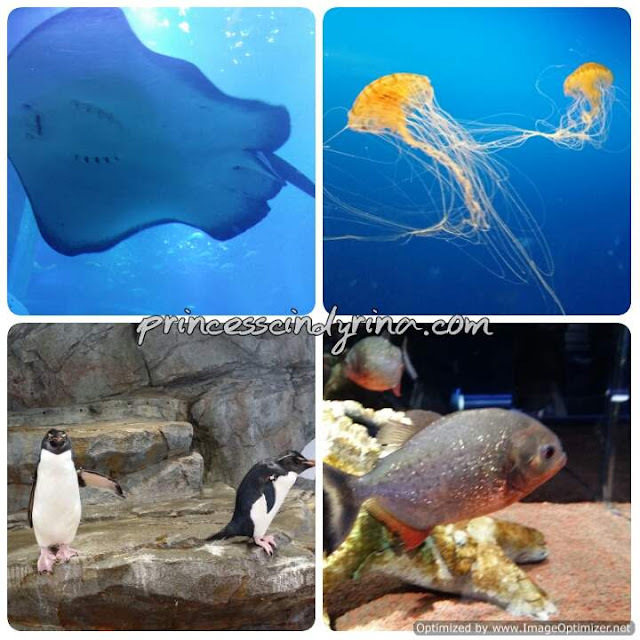 How to go Osaka Aquarium Kaiyukan by subway ? It located at Osakako Station on the Chuo subway line. Osaka Aquarium Kaiyukan open from 9:30am or 10:00am depends on season until 20:00pm. You require to pay 2,300 yen entrance fee. I recommended to get Osaka Kaiyukan day pass which you need to pay 2,300 yen plus get unlimited ride of subway and buses in Osaka for a day. I bought those pass from tourist information counter near Osaka station. It really worth it! Note : You can't purchase Osaka Aquarium Kaiyukan pass from Kaiyukan itself. You need to buy this in advance at place like tourist information counter near main subway station. You can also purchase Osaka Aquarium Kaiyukan pass online. Just click this link. Both place located just next to Kaiyukan. 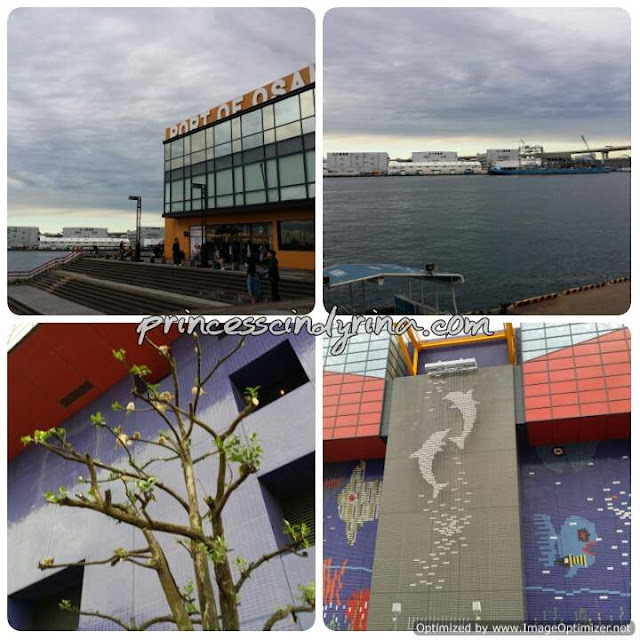 I would recommend to have good afternoon walk by the Osaka Port. Love the view and surrounding here. I just get myself one cup of Hot Latte from nearby Starbuck and sit there by the port staring blank at Pacific Rim. As many love to visit Tempozan Market Place, I did pop up to this place for a while and give it a quick browse. To me this place is nothing to shout out. You can get better varieties food from other place. For those who going to Osaka, I bet you read about this place a lot. Famous with it Glico Running Man sigh and Kani Doraku Crab sign. Many restaurants here and some even open 24 hours. Totally popular tourist place. Your eyes will be spinning with all those neon lights as you walk here. 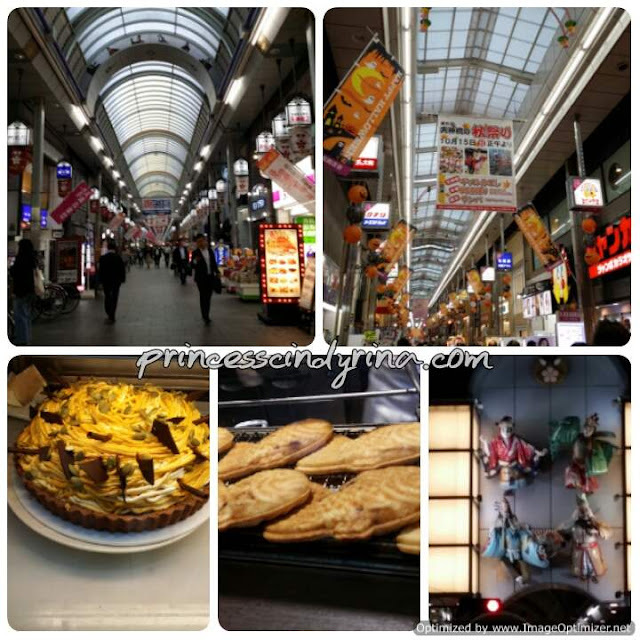 If you are into Harajuku , fashion culture then visit this place. Many cafes, clothing stores. Mid age like me feel like 15 years younger here. I stayed near Premier Cabin Hotel , Osaka which located above Tannemachi Line Chrome 21. Across the hotel is long shopping street. I need 2 night to finally finish my window shopping here. The end of my journey at Osaka. Tips : Consider to by day pass for economical and ICOCA IC card. I can tell you still worth it an convenient. To download this article for offline reading or travel directions to the attractions highlighted in this article click here. I agree that 5 days stay isn't enough to visit Osaka Japan. My daughter was in Japan for 2 weeks and still complaint it was too short. The seafood looks delicious by the way! 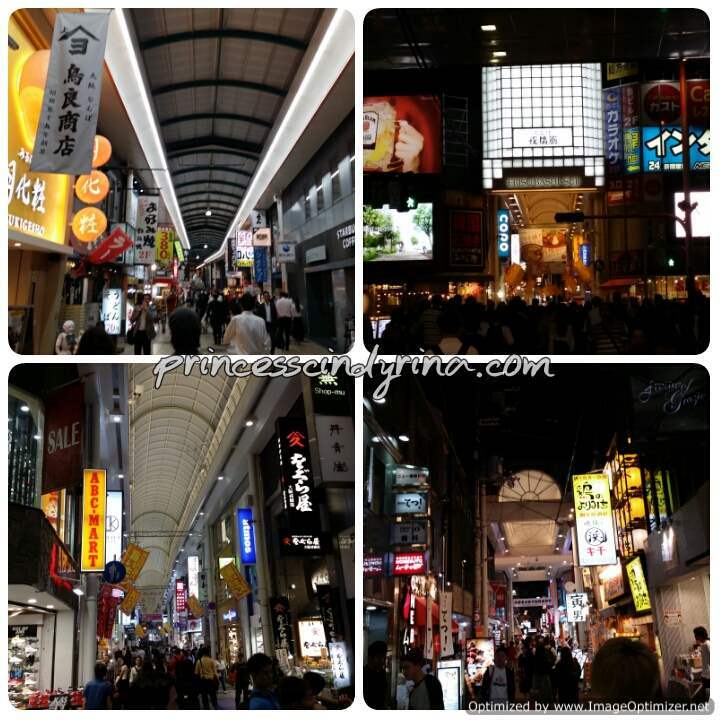 It is a nice post, give tips and guide for the one wanna travel to Osaka. I saw lot of Japanese food. One of my wishlist, travel to japan and enjoying their Japanese cuisine in Japanese trandisional dress up. I truly love Japan and their culture. One of my bucket list is to visit Osaka. I have heard but good things in this place and lot of sights and tourist attraction. Waiting for my kids to grow up we are going here. 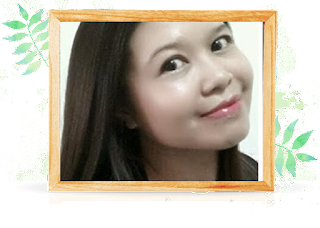 For a five day trip, I find that it takes that long for us to familiarise ourselves with the public transport system and the local areas around our accommodation and then we have to leave already. LOL Thanks for sharing your itinerary. Can copy if I ever go to Osaka. Dream onnnn!!! Osaka one of the list i want to travel after korea. Insyallah. I have yet to travel to Japan. Thanks for sharing your itinerary at Osaka! Now you make me miss Osaka. There are so many things to do there and I think 3 days also not enough. I m planing to go back to Japan again soon. Thanks for this. I haven't visited Japan yet, but I will one of these days. I teach English to Japanese, and I've really been wanting to visit the country for as long as I can remember. This is a post I will definitely refer to when I get to do that!